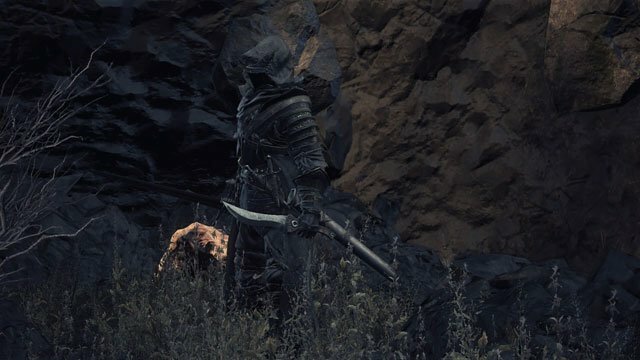 Fallen Knight is an Enemy in Dark Souls 3. 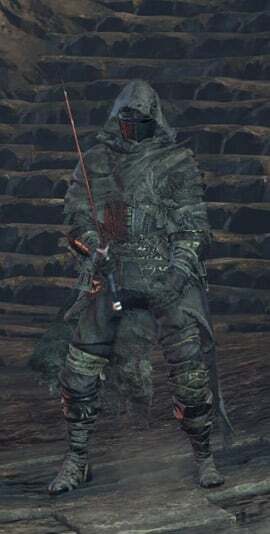 A human enemy who guards the path to Cathedral of the Deep. Is standing beside to the Paladin's Ashes, on a easily overlooked path right next to the Cathedral of the Deep bonfire. Wields a Longsword (RH) and Bandit's Knife (LH). Has around 1000 health on NG but is easily dispatched if fought one on one. If you ignore this knight and engage the Brigand further up the staircase, he will run up from behind to assist his friend. Primarily uses his longsword with weapon arts. Throws kukri from a distance. His knife and throwing knives both inflict bleed. Wears the Fallen Knight Set. Does not respawn once killed. This knight actually sprints up and down the long staircase on his "patrol route", if watched from the bridge near the evangelist, after he is triggered. "Does not respawn oncw killed."